IrAero and Yakutia Airlines will be the new operators of all SSJ 100 aircraft reclaimed from Red Wings. Earlier this month, Red Wings suspended operation of the type. 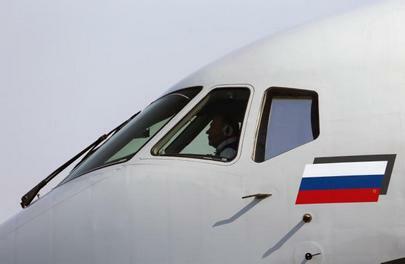 Red Wings’ fleet of Russian-made regional aircraft reached five aircraft (tail numbers RA-89001, RA-89002, RA-89008, RA-89010 and RA-89021), when the aircraft’s manufacturer, Sukhoi Civil Aircraft (SCAC), asked the operator to return two of the aircraft and terminated the rent agreement. The three aircraft that were left (RA-89001, RA-89002 and RA-89021) had been leased from the State Transport Leasing Company (GTLK) in November 2015. However, according to industry sources, Red Wings’ payment discipline with the lessor was not much better than with SCAC. On June 9, Red Wings, continued operation of just one SSJ 100 (RA-89001), which made two return flights from Moscow to Saratov and Grozny, as well as several Tu-204s. The aircraft is expected to continue flying for Red Wings until July 1, after which it is scheduled for repainting at the Engineering Holding’s facility in Mineralnye Vody. The aircraft with tail number RA-89002 has already been painted in the livery of its new operator, IrAero, and is now based in Domodedovo Airport. It will be IrAero’s first SSJ 100, and the operator is still training its technical personnel to service the type. Some of the pilots from Red Wings will be transferred to the Irkutsk carrier. RA-89008 and RA-89010 are also expected to fly for IrAero. They are currently undergoing MRO procedures. The last of Red Wings’ SSJ 100s, the RA-89021, it has been repainted with Yakutia Airlines colors. It will enter the Yakut carrier’s fleet in exchange for another SSJ 100 under a refinancing plan.